What does Sears filing for Chapter 11 bankruptcy on Monday mean for shoppers? The liquidation hasn't started as of Friday, Oct. 19 in the two local stores being closed, Ridgedale and St. Paul, but that may be good thing for consumers looking for deals. The Herberger's liquidation taught consumers that a retailer's sale prices are often lower than the liquidation prices, at least initially. Consumers who are eyeing an item on sale at Sears may get a lower discount now than when the St.
Paul or Ridgedale liquidation starts. .
Best time to buy: Buying apparel at Sears for 10 to 30% off would be a worse deal than a typical sale price since most apparel sales start at 25-50% off. Clothing and accessories have higher profit margins than appliances or tools and therefore get heftier sale prices. The other advantage of buying at one of the stores not closing? The ability to return the merchandise. All sales will be final at a store under liquidation. The best liquidation deals for consumers are likely to be on items that never go on sale such as appliance parts. On the other hand, many of those parts and even appliances may be shipped to Sears stores that are not closing, said one former manager. Gift cards, layaways: It's too early to know if all the stores will be forced to close, but in that event, now is the best time to redeem any Sears or Kmart gift cards before the company quits accepting them. The Better Business Bureau also suggests any layaways be completed as soon as possible. Both Sears and Kmart, which are part of the same company, have layaway programs. Extended warranties. They may be in jeopardy. Anyone buying an extended warranty on an appliance from Sears is taking a risk that it won't be honored. When Sears closed its stores in Canada last year, it quit honoring the agreements. Canadian consumers who had purchased extended warranties within 30 days of the liquidation announcement were allowed refunds. Consumers who really want the protection of an extended warranty should look at the terms of the credit card used to charge it. Some add extended warranties as a free perk. Consumers with Sears extended warranties who are having any appliance issues, no matter how small, should call sooner rather than later. 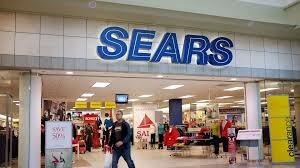 Sears Your Way points/cash back: Redeem them quickly. Sears said that it "sought authority to continue these programs," but Toys 'R Us stopped accepting rewards the day prior to its liquidation sale in March. One bit of good news--the reward points on a Sears credit card won't go away.